Claus Offe opts for democracy over “TINA” logic (“there is no alternative”), which only leads to a politics that fails to provide the electorate with choices. And therein lies the trap. Only more solidarity and more democracy, he argues, can rescue the eurozone from the brink of collapse. Europe finds itself in what may well be its worst crisis since 1945. More and more historically aware commentators are reminded of the situation prior to 1933. If this crisis cannot be overcome, then the political project of European integration will suffer serious harm, as will the European and even the global economy – not to mention the far-ranging social harm that the crisis has already caused in the countries of the European periphery. The crisis is so serious because of the seemingly insoluble contradiction it presents. In simple terms: the course of action so urgently needed is extremely unpopular and thus cannot be implemented by democratic means. Nor does the post-democratic, technocratic option present a feasible solution. Experts are “in principle” agreed on what is required – namely a long-term debt-sharing agreement, or other grandiose transnational measures to spread the burden – but it is difficult to make electorates in the rich nations listen. The situation in the countries of the periphery is similar: they must quickly become more competitive and remain so, while driving down labour costs to achieve some semblance of a sustainable balance of trade and a half-way manageable budget deficit. The experts and elites regard all this as “necessary”, but it is clearly unattainable without seriously damaging these nations’ democratic sovereignty, since their populations “demand” exactly the opposite. Thus the mismatch between what is economically necessary and what is politically feasible can be seen on both sides of Europe’s north-south divide today. If the eurozone collapses because it proves impossible to square that circle, this will most likely mean the end of the EU as well. Chancellor Merkel is quite right to warn of this outcome. The new division in Europe is between the poor south and the rich north. Populists in the north reject tax-funded transfers and debt amnesties (especially in the country that would be the main payer, Germany, where national elections are due soon), while populists in the south are vehemently against austerity measures affecting wages, pensions and the public sector. Both types of populists profit from the crisis, which channels political support to them and forces centrist parties to imitate them or lose a further share of their already shrinking electorate. In Greece, the neo-Nazi “Golden Dawn” has become the third largest party in the country.1 If they were ever able to form a governing coalition with other Europhobes, this would mean the end of the euro – the reactions of the European Central Bank (ECB), the International Monetary Fund (IMF) and the financial markets would be quite predictable, unleashing a domino effect. Were the eurozone to dissolve, inevitably leading to the collapse of the EU, it would result in a disastrous reversal of political and economic progress. 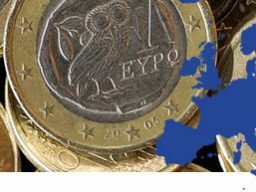 This is not to dispute that the euro was poorly conceived from the beginning. 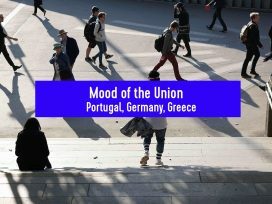 To yoke together Greece and Germany – to name the two extreme cases – in a currency union is to expose the poorer and less productive partner, with its higher labour unit costs and less competitive exports, to enormous economic stress. It deprives that partner of the ability to alter its national monetary policy in order to adjust to external markets (meaning: devaluation). Greece’s accession to the eurozone is thus retrospectively revealed to have been one of those fatal errors which, once committed, prove irreversible, closing off any return to the status quo ante. It may be that all parties could agree today that it was a terrible mistake to introduce the euro into what was wrongly conceived of as a monetary union zone – given that it was inhomogenous from the start and only growing more so; given that it lacked the flexibility required for prices and wages to be driven down; given the language barriers hindering labour mobility and because there was no uniform economic, fiscal or social policy. Even so, any attempt to undo accession would have catastrophic effects from the very moment it was announced. It is simply unrealistic to try to put the genie back into the bottle. Upon joining the EU, new member states undertake a legal obligation to reform their national economies to qualify for eurozone membership under the five criteria of the Maastricht treaty. Suspending this condition, or preparing the way for the exit of member countries from the euro, would let loose an avalanche of negative consequences for these countries. Admittedly, renationalizing monetary policy would allow the countries of the periphery to devalue their currencies without restriction, but thereafter they would find it even harder to pay off debts incurred in euros. At the same time financial investors would ratchet up interest payments on member states still in the euro, setting off an incalculable domino effect that would eventually involve the net exporter economies too. Further, countries that give up the euro would also be forced to stop observing European regulatory law, which they could simply no longer afford to follow. Once countries are thus caught in the euro trap, they – and their citizens – begin to feel the consequences of the vicious circle in which they find themselves: no longer free to devalue their own currency, they are forced to try to settle their deficits through “internal” adjustments – a euphemism for deep cuts to state services and infrastructure as well as to wages, pensions and social transfers. The only way of avoiding this scenario would be to tax high incomes and larger assets more heavily: but since Europe has neither a harmonized tax policy nor any controls over the movement of capital, the paths for the flight of financial capital are many. Thus most political actors, including all social democrats, consider this option unpromising. Instead of devaluing the national currency, all that remains is to devalue the nation’s workers and public sector. We are currently experiencing this in southern Europe, above all in Greece. Anything the state finances, organizes and regulates must now be “liberalized”. This will happen through “reforms” – a term twisted to mean many different things. We have become used to thinking of reforms as “progressive”, as steps towards greater equality and better life chances for all. This is no longer the case. Today the ruling elites of the EU and its member states declare that these new, liberalizing reforms are a bitter but necessary medicine. No wonder that such a move leads to enormous social unrest, where feelings run so high that even those who have enjoyed the most absurd privileges can defend their entitlements. The trade unions are fighting, but their backs are to the wall. Almost every Sunday there are leftist-populist mass demonstrations in Greek, Portuguese and Spanish cities, and in November 2012 we even saw the first international mass strike action in southern Europe. The magnitude of disparity in Europe today is easy to demonstrate: to achieve a level balance of trade, Greece would have to become all of 40 per cent cheaper in euro terms. By contrast, Germany would have to overprice its exports by 20 per cent if it wanted to bring down its export surplus to zero. Neither of these is remotely achievable, given that neither Greek workers and pensioners, nor German employers or the finance minister, are inclined to take the huge steps that would be required or allow others to take them. Worse yet: even if some authoritarian technocrat, following orders coming down from the EU, ECB and IMF, were to cut Greek public expenditure, wages and pensions by this much, it would not improve but rather massively exacerbate the all-important ratio of public debt to GDP. Financial investors know that only the prospect of growth – a credible business plan – can guarantee a level of future tax revenues that is sufficient for a state to service its debt. They will react accordingly where signs of growth are not present: either by refusing to lend, or by increasing the cost of their loans such that they become unfeasible. However, it is precisely the cost-cutting and austerity policies imposed on debtor countries as the price for credit guarantees that contribute to the lack of any prospect of growth (something that hardly anyone disputes following the publication of new IMF data in November 2012). Given that currency devaluation is not an option, how can we overcome such huge trade disparities in the eurozone? Various suggestions have been made: a clearing union, a fiscal union or debt-sharing agreement, a debt amnesty or payment deferral. To many, so-called Eurobonds seem the most practical solution – a donation, as it were, to shore up our partners’ solvency. These would however require treaty alterations in order to have a solid basis in law. The same would likely apply to the unlimited purchase of state debt by the ECB in an effort to reassure the markets by demonstrating that it seriously considers government bonds to have a recoverable value – which would itself increase their value. Hectic, even desperate debates among elites currently revolve around finding a mix of these measures that might do the job. Public opinion, especially in the northern countries, responds with growing suspicion that one “red line” after another is being crossed. In key countries such as Germany, the general public refuse to believe – a stance strengthened by the spectacular failure of political parties in communicating the facts – that which behind closed doors counts as a self-evident truth: the planned emergency measures do not really represent “transfers” or acts of “altruism” so much as solidarity in the truest sense of the word. Solidarity is oriented toward that which is “good for us all” rather than merely asking, “What is good for you, the recipient?” Be this as it may, at the moment, there is a dominant misconception that confuses actions taken out of solidarity (as defined here) with charity, selfless “gifts” that the recipient scarcely deserves. This misconception prompts the question, “Why should ‘we’ pay for ‘them’, give them anything?”, “Why not finally ‘make an example’ of Greece, rather than just tipping money into this or that ‘bottomless barrel’?” Such arguments are employed in the manifestoes of right-wing populist parties (but also among significant currents within the political centre, who compete with these parties for votes), which in turn hinders national and European elites from following a democratically-based strategy of “enlightened self-interest,” the strategy of solidarity. For years now, a (currently dwindling) minority of enthusiasts has been dreaming of deepening European integration with the ultimate aim (the finalité) of a European federal state. Under the pressure of the crisis, this has now become an urgent emergency measure, hastening us towards the establishment of stronger fiscal and economic powers at the EU level. Since however there is no support from political parties or voters for such a solution (either in the prosperous member states or in those affected by the crisis), it will most likely fail. It does not seem that European finance capitalism can be brought under control by democratic means. Even if it were to succeed in the long run (rather than simply buying just a little more time, over and over again), the rescue plan would still be perceived from a democratic point of view as an emergency measure imposed by technocrats, poorly conceived, legally unsound, brutally unjust in terms of the consequences for social policy and, moreover, too late. The only intention behind the rescue plan would still appear to have been to win time – in the doubtful hope that the financial markets could be calmed, and then tamed in the long run. Leftist as well as centre-right groups have recently called for referenda with a view to strengthening the democratic legitimacy of rescue plans proposed by “Brussels”. Here the Left hopes, rather hesitantly, for positive results, the Right for a rejection of the plans, dominated as it is by “national” interests and grudges and by the wish to “make an example” of those who have lost out in the euro gamble. However, before the preferences of voters can be evaluated, they must be formed in the light of the normative principles of social justice just as much as that of a sober understanding of the situation we find ourselves in, as well as of feasible courses of action and their consequences. Yet, a Europe-wide system of political parties capable of achieving this exists only in the most rudimentary form. Electorates blinkered in their preferences by national viewpoints make the task of cultivating trust in an “emergency mandate” couched in terms of direct democracy no easier. Referenda and plebiscites in the member states are unlikely to be the best way of democratically securing the massive solidarity measures we need at the European level. Saving Greece from bankruptcy – not to mention Spain, Portugal or Italy – through debt-sharing and eurobonds may well turn out to be an extremely expensive transfer, paid for through inflation or increased national debt in the north. Tax-funded “gifts” to troubled eurozone member countries are not popular. Only one argument might convince northern electorates that these “gifts” are the rational option, namely that if no rescue action is undertaken, if no sacrifices are made now, the costs to “us” will be greater still. However, the uncertainty as to how every strategic player in the game will react means there is no available data in support of this argument such as might convince those with opposing interests and opinions. Nobody can be sure what will happen if nothing is done, if there is no debt-sharing agreement or if no other variant of “northern” subsidies to stabilize the periphery is implemented. The most recent prognoses from the Bertelsmann Foundation indicate catastrophe: a domino effect racing through the whole European Mediterranean region, including France and possibly even Belgium, with devastating economic effects worldwide and particularly across Europe. Even Germany, Finland and the Netherlands, which so far have won electoral favour by seeking to dodge the role of net contributors to a rescue plan, would be hard hit, and their splendid export surpluses would melt away like snow in the springtime. Opinion polls tell us that there is no majority for an exit from the eurozone in any of the countries affected by high deficits – rather the opposite. This is economically quite rational, for three reasons: first of all, if they were to exit the euro these countries would lose their nuisance value, their ability to pester other players in the game and scare them with the threat of economic contagion, forcing the EU to take action to save their banks, national budgets and economies. Second, even if they left, they would still have to pay off their current debt accrued in euros, but in a strongly devalued national currency. Third, scarcely one responsible politician in the rest of Europe wants to force the deficit countries out, since this could lead to the incalculable chain reaction described above. Only populists solely interested in garnering votes want to expel eurozone members. Without Greece, the eurozone would not have one problem fewer, but one problem more. Caution alone is enough to urge us to help Greece out of its difficulties and thus appease the freebooters of the finance industry for a while. This does not change the fact that the same speculators would welcome an act of supranational “solidarity” with whoops of joy, since this would relieve them of at least part of the risk of their investments. However, it would need more than temporary transfers to restore lasting trust in the debtor countries’ ability to service and eventually pay off their debts. Here Greece not only needs other countries to put their hands in their pockets to pay off some of its debts (and these countries have only limited time and money to do so), but also needs to restore the tax base of the Greek economy. This is the only way that the country could service its debts from what it produces itself (aided by the same permanent transfers from EU funds that every struggling member of any normal federal state can claim through revenue-sharing). The EU will have to change its approach radically if it is to succeed in preventing the banks from betting on state bankruptcy in Greece and other Mediterranean countries (which would set in motion a self-fulfilling prophecy). Here the ratings agencies are warning of a conflagration which they may well start themselves. Austerity programmes and “reforms” are counter-productive and lead to devastating, unproductive social conflicts; rather than relying on them, the EU should take an active part in rebuilding and reforming the sluggish, largely uncompetitive economies of the southern eurozone. The sobering reality is that the EU as currently constituted has neither the institutional capacity nor the economic or political will to tackle any of these challenges effectively. As long as this remains the case, the banks will continue to have the last word on what will become of the peoples and economies of the southern states. This can be explained with reference to the background of the current crisis. A primary aspect is the (with hindsight, inexplicable) failure of national and European agencies to regulate the finance industry in a way that might have prevented the wholesale bankruptcies of banks, which the states then had to intervene to save. Let us glance over some of the underlying strands of this complex story: part of the explanation is surely that the states only have so much debt, exposing them to the whims of the financial markets, because they had to help their banks out of the mire, at least those that are too big to fail. Thus the public cost of saving private banks at tax-payer expense has worsened the fiscal crisis from which the banks are now profiting – something that is as obscene as it is extraordinary. Any financial investor must keep an eye on a trade-off between two factors: the more there is of one, the less there is of the other. On the one hand he wants security for his investment (meaning a guarantee that his loan will be repaid), on the other hand a high return in the form of interest (which also offers compensation for the risk that the borrower may be unable to pay the credit back). Earlier, states were particularly favoured as borrowers, since compared with private borrowers they had two particular advantages: first they have the political power to collect taxes and, where necessary, increase these in order to settle their debts. Second, they could print money and thus “devalue” their real debts through inflation. This last option however is barred to eurozone member countries, which are no longer in charge of printing their own money. But from the investors’ point of view, even the first advantage of tax sovereignty is no longer guaranteed, since they know that these days states compete with one another in tax policy. This prevents states from increasing taxes to pay off their creditors, since in an age of open borders this can lead to capital flight and damage the future tax base. Open economies force the state to hold back from taxing companies and high-income individuals. If states cannot finance their debts by taxing workers and consumers and/or by cutting public expenditure, they have no choice but to take on further debt to cover the holes in their budget. Here they are not entirely at the mercy of the financial industry freebooters; unlike private debtors (who will sooner or later receive a visit from the bailiffs) they can stop paying interest and suspend repayments. However, the banks have a “back-up weapon” against this state option (one which also deters other borrowers): they can refuse further loans to a debtor state, or offer them only on unacceptable terms. As Wolfgang Streeck has shown in numerous recent publications, the OECD countries are currently in the process of transforming the way they run their finances and changing from classic tax-raising states to credit-financed debtor states – in a situation where growth rates in developed capitalist democracies are trending towards zero! The state in the capitalist economy is well on the way to needing life-support to be able to fulfil essential functions, and the financial industry will step into the breach. During the whole period of liberalisation, from the early 1980s on, state debt has risen continuously. (Incidentally: the shift from tax-financed state to debtor state has interesting political implications in the sphere of social equality. 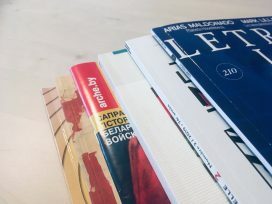 A tax-financed state reduces the disposable income of the better-off by levying taxes – progressively – while the debtor state increases their income by paying interest on loans made by those in the higher-income sectors of society.) During this time, the financial sector as a whole has grown steadily, as has the proportion of its revenue from payments on state debt. At the same time the proportion of revenues that financial investors derive from loans to the “real” economy, for the production of goods and services, has dropped. The sociologist Christoph Deutschmann has made the intriguing argument that this shift in the finance industry from financing the real economy to financing states may have happened because “classic” entrepreneurs have become “scarce” for various reasons, among which an aging population counts as a contributing factor. “Classic” entrepreneurs are ready to take bank loans to invest in productive activities, yielding a profit which then allows them to pay them off; indeed they depend upon loans. With sinking growth rates throughout the OECD, this sector is no longer the mainstay of the financial services industry, which turns to other areas, among them financing private consumption through consumer loans, which have undergone a similar boom. A central problem for the euro rescue scheme is that the banking crisis became a state budgetary crisis, which then became the crisis of European integration we have today. This in turn is a crisis of renationalizing our sense of solidarity, a crisis in which the rich countries of Europe impose saving packages upon their poorer neighbours which are supposed to win back the confidence of the finance industries. This flies in the face of past experience, all of which tells us that austerity is a highly toxic cure that can kill the patient in case of overdose, instead of stimulating growth and expanding the tax base. Thus the weakest members of the eurozone (and in the long run, all members) become ever more dependent on the finance industry, which in turn reacts to weak growth by imposing heavier and ever more onerous interest rates – a vicious circle. Earlier, the only way to gain control over a country’s economy was through military occupation of the country. Today this is no longer necessary. It is possible to maintain entirely peaceable relations with a country and nevertheless own it lock, stock and barrel – by building up permanent export surpluses to annex the country’s economy and erode its sovereignty to such a degree that decisions over its national budget and other elements of sovereignty are in your hands. Given such a distribution of economic and political power, it is hardly surprising that the countries affected see it as a new version of imperialism and subjection – and this mood could trigger social currents that make the future of European integration look bleak. As mentioned above: the construction of the eurozone was deeply flawed from the start, since it failed to take sufficient account of the (ever-growing) disparities of the national economies that it shackled together. Moreover, the Maastricht treaty did not contain adequate mechanisms to sanction infractions, nor did the treaty of Lisbon assign supranational responsibility for a common European economic, fiscal and social policy. The final blow came when the Schröder government – a Social Democrat-Green government, at that! – made the grave mistake of entering Germany into the race to see which country could liberalize its financial industry most extensively. This simple moral calculus can be explained in deontic or in consequentialist terms, that is, either on the basis of first principles or of results. In the case of the latter, the argument goes like this: whoever has come through the crisis relatively unscathed is bound to have the strongest interest in consolidating on an arrangement that, having cost him relatively little, did so much for his balance of trade. The former perspective implies that whoever can most easily afford to assume the costs of a rescue plan is obliged to do so. However we approach the problem, it is easy to say where this moral calculus points today. It points to Germany. The Germans are the major beneficiaries of the euro, and their export surplus – which has grown in the framework of the common currency – is part of the problem. And Germany has even profited from the crisis; the German state now has access to cheaper credit than ever before. Nowhere else is credit cheaper. Neither the German political elite nor the German public are willing to recognize the conclusiveness of this argument, let alone act upon it. On the contrary, government, parties and citizens are discouraged by the complexity of the situation from recognizing that it is in their own enlightened self-interest and/or their duty to take on the fiscal costs. The outlines of this complex situation can be described as follows: what is required is the readiness to give up, in part, national sovereignty and make considerable economic sacrifice in order to build up instruments of fiscal government at the European level and help settle the debts of our troubled fellow member states, to contribute to their economic recovery and assuage their social suffering. They will then be able to calm the finance industry and rein in its demands for interest payments, stabilizing both the eurozone and the EU as a whole. This is a highly desirable outcome from a political and moral perspective, as well as with regard to economic and fiscal stability. We need to be ready, yet in any nation-state, in any member country, a call to readiness using such arguments would go entirely unanswered, and not just because of the complexity involved. Anybody suggesting this long-haul course of action must reckon with fear, resentment and massive displays of atavistic nationalist discontent right across the political spectrum. Here again we see how deep the gulf has become between politics and policy, between the struggle for power and public opinion on the one side and strategic considerations on the other: theoretically, the political parties – especially those targeting a Europe-wide electorate – are there to bridge this gulf. They may even be able to do so if they could shape voter choices and public opinion through convincing arguments and demonstrate their clarity of vision. Instead we see political parties clinging stubbornly to national stereotypes and short-term arguments about the bottom line, since they fear that to do otherwise would demand too much of their electorate, losing their votes to parties who have no scruples about exploiting discontent. As political organisations interested in gaining power, the parties are corrupted by the pressure of a positivist opportunism. This causes them to operate in accordance with the electorate’s “pre-existing” choices and shirk the task of shaping or guiding these choices through public vision and clear arguments. But the parties’ only aim (their only justification!) is to win elections – one way or another. They know that they can win by luring certain groups of voters with targeted preferential measures (“clientelism”), or by narrowing either the geographical range or the time-span of political debate, or by stoking fears, by denying crucial aspects of the political situation, by distorting these instead of informing and convincing their electorate – and because they know they can, they do. In order to really shape voter choices via argument and persuasion, the parties must be ready and willing to tackle all kinds of fears, distrust, short-sightedness and suspicion. One of the stubborn mindsets which parties tend to regard as “pre-existing” without trying to dispel is the basic suspicion that if “we” make sacrifices to help “them” – for instance, “the Greeks” – then “they” will simply abuse our generosity in order to get ahead of “us” and spare themselves the effort that would otherwise be expected of them; our “gifts” will simply encourage them into the unsavoury, selfish behaviour that economists call moral hazard. A major problem is the widespread assumption that it is this moral hazard which blocks acceptance of socially inclusive, forward-looking political decisions. This assumption is not solely due to potential donors’ interest in finding excuses to justify their refusal to help. Often it is based on media-fuelled perceptions of how recipients already behave, or might behave because of the nature of their institutions and traditions. Thus the well-founded suspicion arises that some of the southern eurozone members have corrupt tax authorities, that tax evasion is seen as proof of one’s cleverness, that special interests enjoy institutional privilege and that the behaviour of civil servants and judiciary falls significantly short of the professional ethics obtaining in other parts of Europe. Where such problematic behaviour exists (and it will certainly not be rooted out simply by way of external pressure and interference), proof thereof will strengthen the resentment felt in northern Europe. It will also make it easier to shrug off the duty to act in the interests of solidarity and suggest that “it’s all their own fault.” Clearly neither the Greek state nor European law is able to prevent rich Greeks from spiriting an estimated forty billion euros per year out of the country and into bank accounts in Switzerland and elsewhere, but the reports of this legislative failure do little to encourage feelings of solidarity among other Europeans. It would take two changes to do away with these received opinions and knee-jerk responses. In the first place, the state-versus-state mindset of “methodical nationalism” in most debates about Europe must at the very least be supplemented by a view in which Europeans see one another not primarily through the prism of nationality but rather as individuals and members of particular social classes. In the second place, European law must allow member states to implement social redistribution measures internally without being penalized in the current competition between EU member states over fiscal and social policy. A Europe-wide harmonisation of income tax and corporation tax would perhaps be a promising step toward combating tax avoidance, along with mandatory loans from the wealthy, a system of progressive indirect taxation, a minimum threshold for direct taxes as well as for budgetary outlays on social services, and a legally binding maximum value of the Gini coefficient, by which income inequality is measured. Further, banks in member countries should no longer enjoy complete freedom in accepting deposits when there is clear reason to suspect these may be tax-evading capital, if the country of origin and size of the sums gives such cause. It seems that only European legislation can give member states the tools to solve at least a part of their financial problems “on the spot,” instead of having to rely solely on solidarity from other member states. These are reforms in the old-fashioned sense of the word, submitted here for the consideration of Europe’s legislators, but none of them could be brought about through the technocratic decision-making processes which we have become used to by now. Certainly if they were to be implemented, this would strengthen the EU’s democratic legitimacy, but their implementation would depend on precisely this legitimacy already being in place; ultimately it would depend on the consent of a European citizenry expressing its will through elections and referenda. However, the current crisis has dealt a serious blow to the Europe-wide consensus that a supranational political community with democratic mechanisms is worthwhile in and of itself. Equally harmfully, the ruling elites have been too slow – or simply unable – to stem the destructive tide unleashed by the crisis. If European integration is to be stable, lasting and reliable, it must have democratic legitimation. The argument here is functional: anyone wishing to govern effectively must first ensure that the government has democratic legitimacy, and only then can political strategies and institutions claim rightful authority. Technocratic governments are assumed to have expertise (although this is also denounced and derided), but have no substitute for such legitimacy. Democratic procedures that ensure legitimacy are the only sure reply to Thatcher’s (and Merkel’s) radical free-market, technocratic argument that “there is no alternative” (the logic of “TINA”). Anyone invoking these arguments has admitted that politics as we know it has failed in its basic task to offer meaningful alternatives at election time. In failing this task, politics has steered us into a trap, a situation with “no alternatives” from which there seems to be only one means of escape, that of technocratic emergency measures. Politicians often falsely claim that there is no alternative and doggedly adhere to their preconceived view of political and economic reality. We might think here of the familiar case of a yawning budget deficit. Here the technocratic reaction is to call for savings. And yet, instead of cutting expenditure, it is also possible to plug such a gap by raising revenues. In the face of which, the tendency of investors to take flight could, for instance, be avoided by harmonizing direct taxation at the EU level. Any attempt to try this, however, would be met by resistance from member states (Ireland, Bulgaria etc.) who would like to improve their chances in the race for investment by setting low levels of corporation tax. Saying “there is no alternative” is often merely a way of disguising a capitulation in the face of perceived power relationships, a surrender to the status quo. Europe is made up of nation-states, citizens and social classes; there are plenty of other ways to allow these various interest groups and actors to have a say in the democratic process. It is imperative here that their input is legitimized by democratic means, especially considering the ever weaker standard of legitimation that European ruling elites can claim for their output; European citizens no longer give any credence to the deferential view that the elite will do the right thing because they have the best grasp of the situation. Growing sectors of the electorate are outraged about “Brussels” or “Berlin” or about “Europe” as a whole – a goldmine for populist politicians. We must rebuild Europe so that the bridge between the will of the peoples and the decisions of the elites cannot collapse again. The main place for this is of course the European Parliament, elected through political competition between the European parties; and the Commission as a governing body must be reformed to become more accountable to the Parliament. A final contradiction concerns the European Central Bank, the European Court of Justice and the European Commission. These are the institutions that most strongly affect the daily life of Europeans, and at the same time are subject to the least democratic control. They are entirely apolitical, standing above the party fray, and they take their decisions in majestic independence – regardless of whether citizens, parties and parliaments agree. This is the gulf between politics and policy, between the struggle for power and public opinion on the one side and strategic attempts to solve problems on the other. Once the bridge of input-legitimation is broken, the populists are left to flourish on one side of the gulf (squabbling over power without offering solutions to problems) while the technocrats take root on the other side (trying at least to solve the problems but not competing for democratic support). The two spheres of politics drift apart. If the eurozone were actually to dissolve – in an “orderly” or in a chaotic manner – we would embark upon a gigantic negative-sum game: all sides lose. So much must be clear even to those who publicly proclaim otherwise. The banking crisis swelled to become a crisis in state finances, and this became a crisis of European institutions. It is becoming ever harder to imagine how Europe’s political elites might keep their balance as the ground shifts beneath their feet, before a general bankruptcy of capitalist democracy becomes manifest. I believe that in the end, it will depend on the protests and resistance from those who have been hardest hit by the crisis. Perhaps this resistance can force the elites to steer a more productive course. At the moment, their ever more frantic efforts are buying ever less time, on credit. Given the current state of affairs however, nobody can claim to know what the better course would be, or who should chart and sail it. Cf. Michael Oswald, Rechtsruck in Hellas, in: Blätter, 10/2012, pp. 26-29. 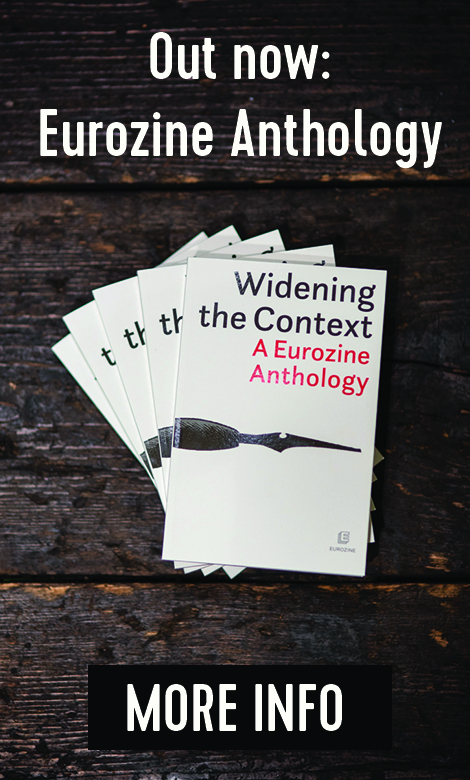 Also in Eurozine, 24.10.2012: http://www.eurozine.com/articles/2012-10-24-oswald-de.html.